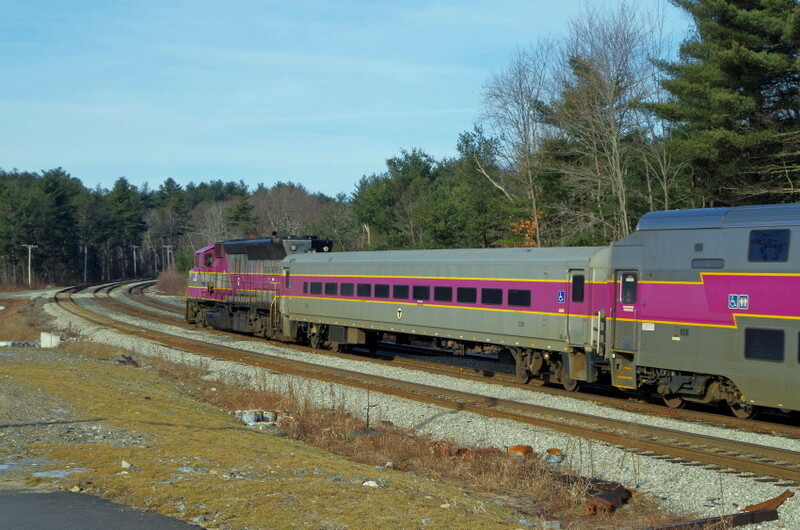 A crippled Keolis train is pushed up past Wachusett Station and on to the Westminster layover facility. Photographed by Bruce Macdonald, February 13, 2018. Added to the photo archive by Bruce Macdonald, February 13, 2018.